Congratulations! Sacred Heart Parish can’t wait to welcome you or your child into the life of Christ and our Church through Baptism! The Sacrament of Baptism is the celebration of God’s love for us and our being part of the Church (the community of God’s people). Baptism celebrates the beginning of one’s journey of faith. Through water and the Holy Spirit, original sin is forgiven and the one being baptized is claimed for Christ by the sign of the Cross. Through Christ, we become adopted children of God our Father, receive the gift of the Holy Spirit and gain entrance into the Church. The sacrament of Reconciliation celebrates God’s mercy. 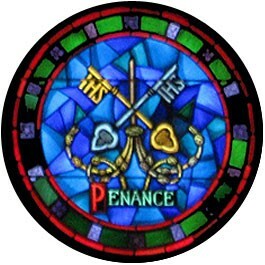 Confessing our sins with sincere sorrow is the key to reconciling us to God. Recognizing and acknowledging our failings helps us grow into a deeper relationship with Him, and to each other. Confession breaks the power of shame and hurt of sin and restores and revitalizes our relationships within the community of faith in the life of the Church. Reconciliation is celebrated regularly 30 minutes before the weekend Masses. Additional times are posted during Advent, Lent, and a few other times during the year. Individual Confessions may also be made at any time by appointment. Students prepare for their first reconciliation as part of the religious education program at our parish. Our First Reconciliation Preparation program is designed as a faith journey for children from 2nd Grade. It begins in September and concludes with Group First Reconciliation in November. To prepare for receiving First Reconciliation, Children are expected to be enrolled in our RE (Religious Education) Program. Parent meetings are held in the Fall for First Reconciliation and for First Holy Communion. Please contact Roxie Schmitz to enroll or for more information. The Eucharist is the heart of our Catholic faith. It is the greatest source of grace and the fountain from which all of the Church’s life and power flows, and the summit toward which all her activity is directed. 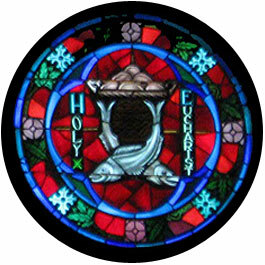 Our parish celebrates Eucharist (Mass) on Saturday evenings at 6:00pm (7;00pm in DST) and on Sundays at 8:30am. Weekday times are normally 8:30 am on Wednesday and Thursday. On First Fridays, Mass is celebrated at 10:30 am. Children prepare for the sacrament of First Holy Communion as part of the religious education program at our parish. The reception of First Communion is open to those in 2nd grade and older. Celebrations of First Communion are held during the Easter season of each year within the parish community. Parents are expected to participate in the preparation of their children. Parent meetings will be held during the preparation process. For more information, contact Roxie Schmitz. 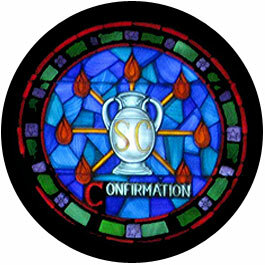 Receiving the Sacrament of Confirmation means being sent on a mission by the Church for Christ. It is essentially a mutual ‘yes’ declared by God and by the one being confirmed. The one being confirmed asserts the faith of his/her Baptism, and asks for the gift of the Holy Spirit that he/she may never be separated from God. 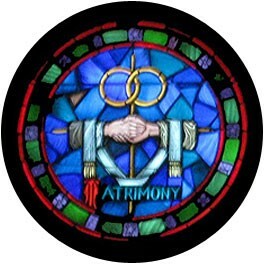 The sacrament of Matrimony signifies the union of Christ and the Church. It gives spouses the grace to love each other with the love with which Christ has loved his Church; the grace of the sacrament thus perfects the human love of the spouses, strengthens their indissoluble unity, and sanctifies them on the way to eternal life. - Catechism of the Catholic Church, 1661. Congratulations on your engagement! Marriage is a beautiful sacrament in the Church celebrating God's grace through the love you share for one another. Since marriage is such a sacred and challenging vocation, it is important that couples be properly prepared to receive this sacrament. Your wedding day will be a very special day for you, and we want to help you prepare for it well. We also want to help you prepare, not just for the special day, but for your entire married life together. Because marriage is a sacrament in the Catholic Church, it is not only a very special moment for the two of you, but it is also a sacred event for the whole church. The Archdiocese of Kansas City in Kansas requires couples to make arrangements at least six months in advance of the date of marriage. Please call the pastor for an appointment and arrange for marriage preparation classes. Marriages are not celebrated during Lent. If either party has been married before, no wedding date can be set until the prior bonds are declared invalid. Contact the pastor at the earliest if this is a concern. Formerly referred to as “Last Rites”, the Church now makes this sacrament available to anyone who is physically, spiritually, psychologically or emotionally in need of God’s healing power. The sacrament may be received more than once, death does not need to be imminent, and any age person can be anointed. 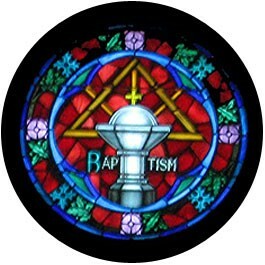 The only requirement to this Sacrament is Baptism. The care of the sick and elderly is always a loving concern to our community. Sacred Heart Parish offers the anointing of the sick at both the community Mass and privately. 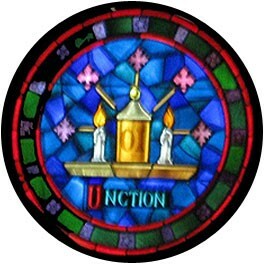 During both the Fall and Spring, the Sacrament is offered during a regularly scheduled Mass Please check the bulletin for additional information. Please contact the Rectory regarding any member of the household who is ill or know of someone who would benefit from it and would like to be anointed by a priest. 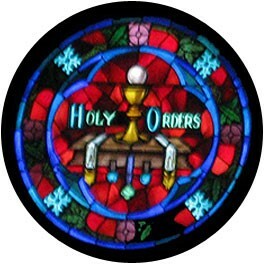 "Holy Orders is the sacrament through which the mission entrusted by Christ to his apostles continues to be exercised in the Church until the end of time. Thus, it is the sacrament of apostolic ministry. It includes three degrees: the episcopate (bishops), presbyterate (priests), and the deaconate (deacons)." - Catechism of the Catholic Church, 1536. As people of God, we all share in the priesthood of Christ. Each of us is to exercise our priesthood by strengthening and serving one another. Within the Church there are many means of service. One way of service stands out as a sacrament, namely Holy Orders, which ordains the recipient to the office of bishop, priest or deacon. If you have questions or would like help discerning a call to the priesthood or religious life, please contact any priest of our Archdiocese or call the Vocation office 913-647-0303.